The concept of brand is not as highly sophisticated or far-fetched as what many brand consultants and branding agencies have been trying to make business community believe. They ought to rake the dough while many are still in the blur of the subject matter. Personally, I don’t think there is a specific formula for a company to follow in order to produce a successful brand in a specific time period. Of course you could set aside an awesome budget and plan for over the top branding activities to highlight your brand but don’t confuse advertisement and marketing activities as brand, it’s part of building a brand but it is not the brand itself. How do you feel when you see Apple products? What words come to mind when you see Dell? What feeling do you relate when Coca Cola is mentioned? How about Honda? It’s all about feelings; it’s all about human emotions. That is what branding is, in my humble opinion. For me, Apple products are stylish and reliable. Dell is cheap if you know DIY but lacks user-friendliness. Coca Cola is fun and full of memories, Honda is dependable. Brand is totally about consumer perception. No matter how much brand awareness activities are being carried out to make your customers believe what you want them to believe about your brand, when you don’t deliver your brand’s promise, negative perceptions start to form in your consumers’ minds. And if this perception is not corrected instantly but further strengthened by constantly failing to deliver the promise, the brand is still forming – just that it’s not to your preference. Every brand has its personality and personality is best described with human terms. When you deliver what you want people to believe about your brand, then you are on your way to having a promising brand. FingerTec’s brand essence has always been about making things easy for our clients. And trust me that on our side, the tasks have never been easy. 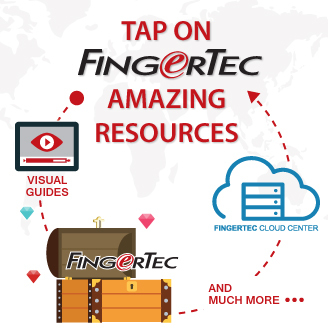 Nonetheless, we take the pleasure knowing that FingerTec is easily implemented and support is available everywhere to help our clients the world over. Occasionally, there are some glitches we need to rectify and the respectful teams are always dedicated to deliver. At FingerTec, the objective of delivering “ease of use” has been communicated throughout the company and everybody is aware of what we have to do. Taking things a step forward, soon FingerTec will be making things easier with the T-box package for TimeTec Web. 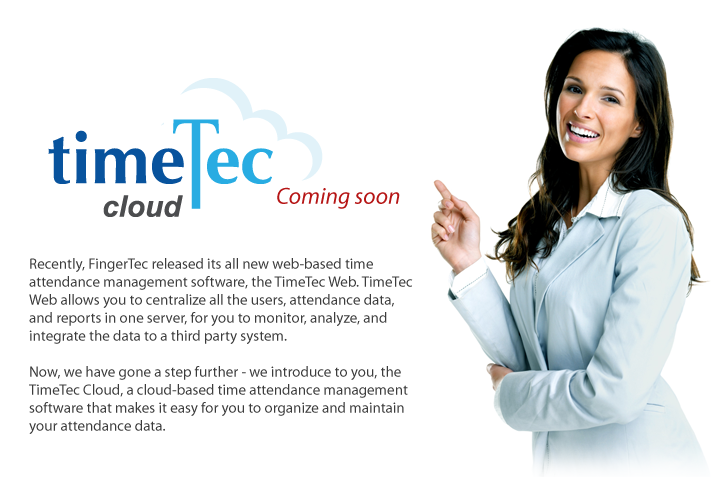 The T-box will simplify implementation of TimeTec Web where we have pre-configured everything for you to ease your work. We’ll offer packages that make system deployment easy and hassle-free. One package solves it all. Say what you want about a brand, pepper it with great slogans but at the end of the day if you failed to deliver the talk, you fail. Walk your brand. Things go wrong all the time, but security and accountability have to be there no matter what. That’s why FingerTec USA's fingerprint door lock models like the FingerTec R2 and R2i not only incorporate the most commonly used communication protocols, TCP/IP, in order to guarantee constant monitoring, but also come equipped with USB backup. In the event of a communication error, the R2 and R2i still draw on this supplementary system to provide the same revolutionary level of biometric specificity and accountability. This fingerprint door lock and time attendance system is secure when you need it. Software is a key component in access management. Since everyone’s situation is different, and security and accountability should follow suit, FingerTec fingerprint reader software runs on the safe and situation-tested Linux platform, providing the ability to customize to your business’s particular needs and to adapt fluidly to rapid environmental changes. Additionally, in order to make access management familiar and easy to use, the file maintenance system is Windows-based on your end, allowing for easy organization and simple presentation. This two-pronged software approach maximizes both hardware and personnel efficiency. With such well-suited software and products like the R2 and R2i, FingerTec attendance and door lock systems are secure now, in the future, and every situation in-between. With the mission statement, “to see our customer as our employer, and to find a satisfactory resolution for any customer concern,” it’s no wonder that FingerTec USA offers such a powerful set of support tools suited to a wide variety of company needs. Hired a new employee? Promoted a manager? Looking to optimize all of the options on your employee clock in software? Confused about our fingerprint reader software? FingerTec offers phone training modules tailored specifically to your situation. Your time is valuable, so expert trainers focus only on what you need, providing structured guidance and facilitating efficient knowledge acquisition. Your staff will feel comfortable and confident in no time at all. In most cases, you’ll get a response within just a few minutes. The fact of that matter is that security, access control, and timekeeping software are only as strong as the knowledge and expertise that support them. That’s why FingerTec doesn’t stop at the door – they're with you all the way. In our last blog post we discussed how optical scanning worked. In this new post we will discuss the other most widely used method of fingerprint scanning called capacitive scanning. Unlike optical scanning which generates an image of a person's fingerprint by using light, capacitive scanners use electrical currents to achieve that. The sensor used in this scanning technology is made up of one or more semiconductor chips which is connected to an inverting operational amplifier; each chip is made up of two conductor plates. This very complicated device cleverly reads each fingerprint by measuring the different electrical voltage given by the ridges and valleys of each finger. The processor embedded into the scanner then reads the voltage output and puts together a picture of the scanned finger. From there it decides whether or not it matches up with authorized prints in the database. Capacitive scanners have two advantages over optical scanning: 1) It requires an actual image of a fingerprint in order wot work properly and cannot be tricked by simply manipulating patterns of lights that make up the impression of a fingerprint. 2) Due to the size of semiconductor chips, capacitive scanners tend to be smaller than its optical counterpart. 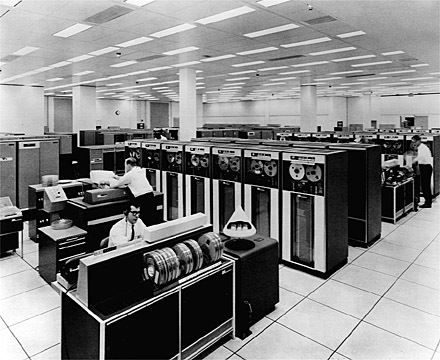 Cloud computing technology is not something new. When you first registered your Hotmail or Gmail account many years back, it has already existed, not to mention all the social media websites like Facebook, Twitter or Linkedin, where you create and host your personal data over onto their servers. IT development trend has always been a scaling down process. For example, it started from mainframe (1950s) to minicomputers (1970s) to PCs (1980s) to laptops (1990s) and later to tablets (2010s). The path software developers underwent was also in this sequence, offering solutions first to big organizations, later to the small ones, and lastly for personal use. But for cloud computing, the sequence is the reverse, which involves a scaling up process. There are two different modes of reception for individuals and corporations for technology and cloud computing adoption. Normally, individuals would embrace technology faster and more freely than corporations if not due to the fact that the computing power was too expensive to acquire in the past. And the size of IT devices mattered too. When Apollo 11 landed on the moon in 1969, the computing power they used was only as good as today’s iPhone. Who would reject an iPhone if they can afford one? How to hit the right button for cloud services? For the consumer market, the term cloud computing shouldn’t be of their concerns and in fact might never cross their minds. Just like how they picked up on the iCloud concept effortlessly, starting to use it as though it is second nature to them. But when cloud-computing technology moves up to corporate level, there are processes and crucial issues for consideration. Hence the migration becomes a very tough decision, particularly when they have to deal with the idea of letting a third party vendor host their classified data. In short, cloud computing is a term for anything that involves delivering hosted services over the Internet. These services are broadly divided into three categories: Infrastructure-as-a-Service (IaaS), Platform-as-a-Service (PaaS) and Software-as-a-Service (SaaS). The name cloud computing was inspired by the cloud symbol that is often used to represent the Internet in flowcharts and diagrams. For Amazon Web Services and GoogleApps, they provide IaaS and PaaS with development tools respectively for developers to host their services for customers; they are not situated in the front line for direct interaction with users. 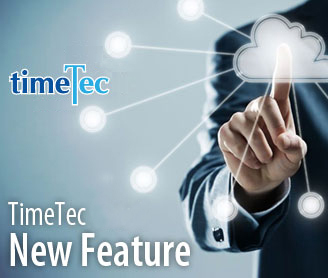 But for our TimeTec Cloud in the Software-as-a-Service cloud model, we provide the hardware infrastructure (even though it is via Amazon’s cloud computing power), the TimeTec software application and the interaction with the user through a front-end portal. Because we host both the application and the data, the end user is free to use the service from any location. 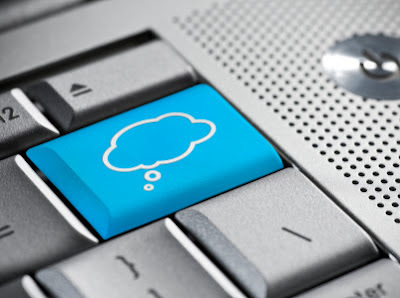 In fact, cloud computing in SaaS model is a highly integrated and sophisticated service. Yet, it has to be simple, in the perspective of users. That’s the biggest challenge, for all SaaS providers, including TimeTec Cloud. I have a BSc degree in Psychology but never once in my life have I had someone lie on a couch, paying me to listen to their problems. That would be nice while I'm having pistachios and a cup of coffee on the side and money pouring in the bank, wouldn’t it? Kidding! The truth is, I've been working in time and attendance technology for more than 12 years now, right from the time fingerprint technology was still a novelty. But the focus has always been on the fingerprint or biometrics technology, and it was transparent in the way we strategically positioned and marketed our products worldwide. Over the years however, not only did the technology improve in leaps and bounds, the time attendance technology also has evolved to become a vital tool to measure workforce’s efficiency against costs spent. The importance of the time attendance software is apparent and it has taken over the focus from the hardware itself. TCMS V2 is deemed as one of the powerful time management softwares in the industry and from merely being a complimentary software with a few basic features, it has gained such popularity and importance that we are now bringing it to another level, up in the cloud. Attendance on cloud via TimeTec Cloud gathers all workforce data in a remote server to be accessed by relevant people through the Internet. Subscribe to the service to get ahold of the transaction data and the reports at any time. This concept is not new yet it’s not widely available in various industries. We want to offer it for office automation. TimeTec Cloud lets you take charge of your employees via TimeTec Mobile and Web Check-ins even when they are assigned with assignment outstations. Casually keeping track of your staff, so to speak. Why attendance via cloud? Because at the end of the day, you are not concerned about the hardware that you installed in your premises, it’s the quality of the time spent by your staff in completing the company’s plans and goals is your priority. And TimeTec Cloud gets you to manage your team of employees better at minimal costs, less maintenance hassle and through a user-friendlier system. I’d love to have someone on my couch paying me to listen his problems but it’s also a fact that he would have to pay me extra if he takes 10 more minutes of my valuable time. Time equals cost/money and if you could better use the time of your employees, I’m pretty sure you’d like to subscribe to the latest TimeTec Cloud we offer. It's be up and running pretty soon but first, you could learn more about it more in www.timeteccloud.com and for those who want therapy, you know where to find me. Again, put down that phone, I’m kidding! We all seek stability in a volatile business world all the time. Most of us are not accustomed to a roller-coaster pattern of sales, because even though it evokes excitement to some people, it could cause a heart attack in others. The fast changing nature of technology makes business sustainability a constant worry for business owners, regardless of the stability and profitability of their existing industry. When a certain technology goes obsolete, it could drag the whole industry down with it, and you may find yourself out of business almost instantly. We are fortunate. Our biometrics business started to boom in 2005 when the technology stabilized and the market was ready to accept the new technology, and so far we have registered a Compound Annual Growth Rate (CAGR) of 40.68 percent from 2005 to 2011. But new technologies are quickly becoming old; we can't just expect the line on the chart to continue going upward as we please. Eventually it would slow down, progress into a plateau and even start a downhill progression if nothing is being done to improve the trend; this is the norm for most businesses. It occurred to me that a recurring revenue business model could be the solution to our worry. When we deal with hardware, customers would buy once and only repurchase when their hardware encounters irreparable damage or a breakdown, or if they happen to open a new branch. In this situation you would be just hoping that they will stick to your brand. Even if you have secured some maintenance contracts and received recurring fees every year, the revenue contributed from this segment is minute in comparison. However, a recurring sales model might seem beyond our reach for our industry. 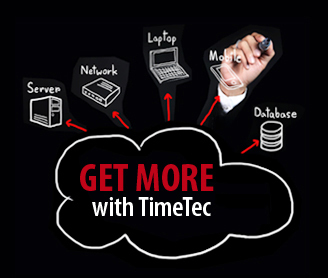 A few years back when I was contemplating on the cloud computing technology concept, it transpired to me that we could offer TimeTec Cloud to be seamlessly integrated with our FingerTec products, as a recurring revenue business model to be operated concurrently with our current business model. We built on that idea when we planned and implemented a CRM system four years ago to improve our sales and support system. We settled on Salesforce.com without much argument, and our exposure to the world's most successful Software as a Service (SaaS) model, gave us a hands-on experience from the world’s best. To be the best, we learn from the best. Unlike Nokia that was promoting their cell phones as hardware only, Apple which came out with their smart phones in 2007, offered various services which included apps and content uniquely integrated with its hardware to guarantee recurring revenue. And, without much struggle, they became the most valuable company in the world. Equipped with our own vision, it took us almost four years to materialize it. Of course, as our valued resellers, we have factored you into our plans for the future of FingerTec. Successfully changing goals from a product-based company to a service-based one will take one large and contributive effort from all parties - preparation and foresight is essential in this effort. And along with TimeTec Cloud, you may even want to start considering a change in your product sales model to a rental based business model. The future is now, and the question is: Are you up for joining us? You walk up to the door, clean off your thumb, place it on the door's new, futuristic fingerprint scanner and you open the door and walk through without a second thought. You have gotten used to it to the point that it has become as second nature to you as opening and closing your front door when you leave home for work. But have there been times when you thought about how fingerprint scanning actually works? If so, here are a few answers to your questions. As you may know, fingerprints are very special identifiers unique to each person - even twins do not have the same fingerprints. The two most common fingerprint scanning techniques used are optical scanning and capacitance scanning. Optical scanning works in much the same way as digital cameras do. Using a charge coupled device (CCD), the optical scanner uses photosites that generate an electrical signal that respond to light. These photo sites record the light and dark pixels that make up the image of the fingerprint. Then a built-in device converts the signal into a digital image that the scanner can use to judge whether or not the fingerprint is valid. Next time, we will discuss how capacitance scanning works.